WASHINGTON, DC – On March 20th, 2017, the Public Affairs Alliance of Iranian Americans (PAAIA) hosted its annual Nowruz reception on Capitol Hill. Fourteen members of Congress, including House Democratic Leader Nancy Pelosi, attended the reception, as well as more than 200 Congressional staff and special guests. PAAIA’s annual Nowruz reception on Capitol Hill is part of its broader effort to celebrate and foster greater understanding of Iranian culture, and to project an accurate and positive image of the Iranian American community. Attendees had the opportunity to learn about Persian culture, heritage, and the Nowruz holiday, as well as to enjoy Persian cuisine and a traditional Haftseen table. Congresswoman Lofgren, in collaboration with PAAIA, also introduced legislation honoring the Iranian New Year into Congress. Besides commemorating the Nowruz holiday, the resolution acknowledges the “lasting contributions” of Persian civilization to the world and the “noteworthy” impact Iranian Americans have on the social and economic fabric of America. Click here to read the resolution. Other members of Congress in attendance echoed Congresswoman Lofgren’s sentiment, applauding the countless contributions of the Iranian American community to the United States. “For a long time, for generations, the Iranian American community has been a source of strength in every aspect of our lives,” remarked Leader Pelosi. PAAIA would like to thank the many volunteers who made the evening a success and the members of Congress and their staffs who joined us for the event. The reception’s co-hosts included: Senator Chris Murphy, Senator Richard Blumenthal, Senator Kristen Gillibrand, Senator Tim Kaine, Congressman Tony Cardenas, Congressman Scott Peters, Congressman Jared Huffman, Congressman Jamie Raskin, Congresswoman Jackie Speier, Congressman Justin Amash, Congresswoman Virginia Foxx, Congressman Jim Himes, Congressman Ron DeSantis, Congresswoman Betty McCollum, Congressman Tom Cole, Congresswoman Carolyn Maloney, Congressman Francis Rooney, Congressman Andre Carson, Congressman Gerald E. Connolly, Congresswoman Judy Chu, Congressman Charlie Crist, Congresswoman Barbara Comstock, and Congresswoman Maxine Waters. Please click here to view our Facebook album with photos from the event. Take action today! 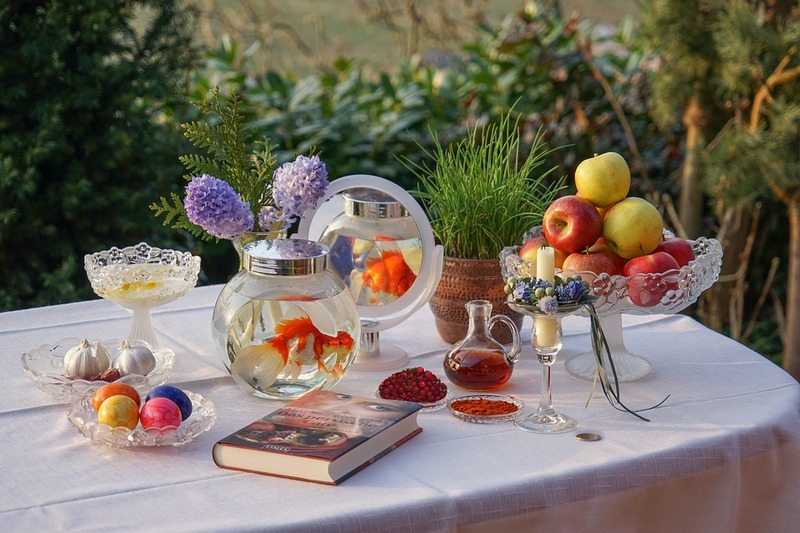 If you would like to educate your elected officials about the Persian New year, click here to support legislation commemorating the Iranian New Year!